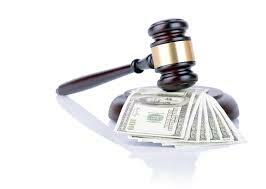 Alimony is an all encompassing term used to cover several types of post divorce monetary spousal support. Simply stated, alimony is money one spouse pays to the other after, which is an action the court orders for a myriad reasons. Per T.C.A 36-5-121, alimony can be awarded if the court deems that a person will suffer economic detriment for the benefit of the marriage. When awarding alimony in Tennessee it is the intention of the court for the economically disadvantaged spouse’s standard of living to be maintained to a comparable standard post divorce or comparable to the other spouse’s standard of living that will be enjoyed post divorce. Alimony in futuro is post divorce support designed for a disadvantaged spouse for which the court has determined cannot be financially rehabilitated due to age, physical or mental ailments, etc. This is ordered for long periods of time, typically until one has remarried or death of either the payee or payor. It is designed to allow a disadvantaged spouse to enjoy a lifestyle comparable to that enjoyed during the marriage when they are deemed unable to support themselves in the same manner. Alimony in solido is a lump-sum form of post divorce support for which the exact amount of the support is known and calculated by the Court. It can be ordered to be paid in a lump sum or in payments for a definitive period of time. The facts of the Ruiz case are Romelio and Sheila Ruiz’ marriage lasted approximately 30 years, the wife had been a stay-at-home mom and homemaker for the couple’s three sons while the husband was the family breadwinner earning approximately $130,000 per year. The Wife had little to no earnings history, a high school education, and was found capable of only earning minimum wage. The trial court ordered the husband to pay alimony in solido of $1300 per month for five years but the wife appealed arguing the trial court erred by not awarding her alimony in futuro. In rendering its decision the Tennessee Appellate Court took note of the large difference between the parties’ earning capacities due to the approximate $16,000 per year the Wife would likely earn at a minimum wage job given she only had the high school education and very little work experience by virtue of being the family’s homemaker for most of the thirty year marriage. The Court also found the Wife to be limited by her physical and mental health problems including chronic pain, depression, and anxiety issues, as well as her being aged 50 years at the time of the divorce. Because the Wife demonstrated a need for long-term spousal support, and demonstrated that she was incapable of being rehabilitated the Court found it appropriate to change the trial court’s award of alimony in solido into an award of alimony in futuro. When appealing a ruling by a family law trial court, it’s imperative you have experienced, competent representation. It’s equally important you seek the services of a good family law attorney from the beginning if you are considering divorce. Widrig Law PLLC is a family law firm serving clients in Nashville, Murfreesboro, Franklin, Mt Juliet, Smyrna, Lebanon, Fairview, Bellevue, Gallatin, Springfield, and Clarksville. If you have questions about alimony, child support, divorce, or any other related matters schedule your free consultation.